Dr. Luis Manuel Tumialán has established himself as one of the leading spine surgeons in the nation, not only for his performance of surgical spine procedures, but also for the meticulous care he invests into the diagnostic and planning stages of those procedures. Dr. Tumialán understands that, without accurate diagnosis and careful planning, the most advanced surgical techniques and finely honed skills will be for naught. This is why he uses MRI imaging and CT scans to plan your spinal surgery at his Phoenix, AZ spine center. In many cases, MRI imaging and CT scans enable Dr. Tumialán to rule out the need for surgical treatment of back pain, which is always the goal. Spine surgery should never be considered the first treatment option. However, when spine surgery is necessary, MRI imaging and CT scans provide Dr. Tumialán with the tools he needs to determine precisely where the problems are occurring and where he needs to operate. If you are experiencing back or neck pain, we urge you to contact the spine center of Dr. Luis Manuel Tumialán today. How Is Magnetic Resonance Imaging (MRI) Used to Plan Spinal Surgery? Dr. Tumialán initially uses MRI imaging as a diagnostic tool. It can be used to evaluate the condition of the discs and the nerve roots to help arrive at a diagnosis in conjunction with the symptoms that a patient describes. Although Dr. Tumialán may take an MRI scan during the initial stages of diagnosis, he often waits until after attempts at conservative, non-surgical treatment of back pain have proven ineffective. Once Dr. Tumialán and the patient have decided that surgery is the best course of action, Dr. Tumialán will use MRI imaging to pinpoint problems in the spine. This may entail checking for inflamed or compressed nerves, structural abnormalities in the spine, levels of hydration in the discs, the size of the spinal canal, and the overall alignment of the spine. The MRI scan will also allow Dr. Tumialán to rule out the possibility of a spinal tumor or an infection. The accuracy of the MRI scan gives Dr. Tumialán the ability to plan and execute spinal surgery with exceptional precision, which is one of the reasons he can perform many traditionally “open” procedures using minimally invasive methods. How Is CT Scan Technology Used to Plan Spinal Surgery? A CT scan is basically a highly detailed x-ray. It gives Dr. Tumialán an excellent view of the bony structure of the spinal vertebrae and intervertebral discs. 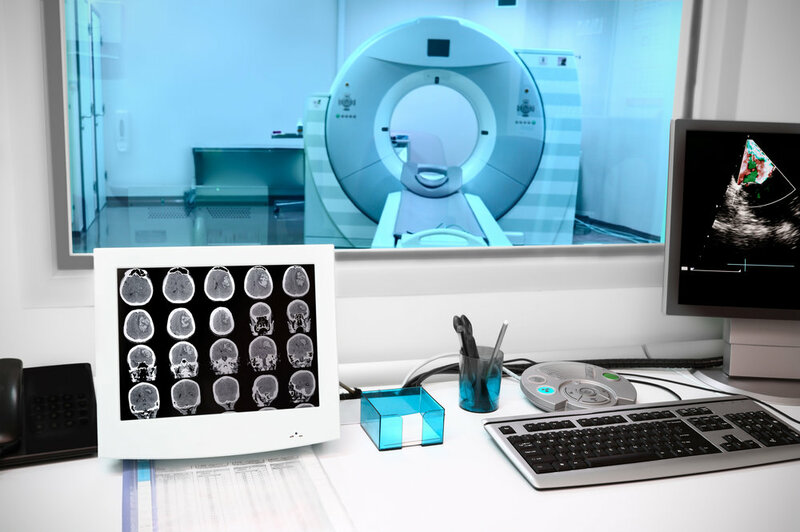 CT scans are generally performed in conjunction with MRI scans to evaluate the condition of the patient’s discs, as well as to assess vertebral fractures, measure bone density, and diagnose herniated discs. To learn more about how Dr. Tumialán uses MRI imaging and CT scans to plan spinal surgery, please contact our spine surgery center.